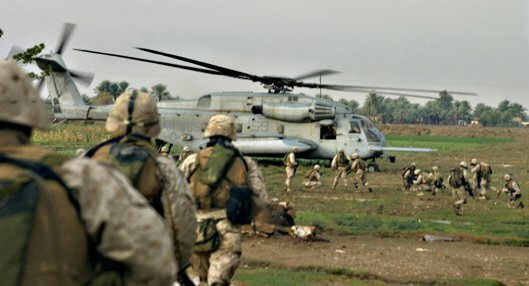 (FNA) ~ A US airborne operation to rescue a senior ISIL leader in Southern Zobab city in Ta’iz province failed after the Yemeni army and popular forces killed the terrorist commander, Arab media reports disclosed on Thursday. “Abu Ayoub al-Ansari was killed by the Yemeni army and popular forces before the US helicopter could rescue take him out of the battlefield, the Arabic-language media outlest,” Alalam quoted an unnamed military source as saying on Thursday. In a relevant development in early March, Ansarullah sources revealed that Saudi Arabia has hatched plots to assassinate the senior leaders of Yemen’s revolution. “Saudi Arabia is plotting to assassinate leaders of Ansarullah movement and Yemeni revolution,” Colonel Hassan Zaidi, a field commander of Ansarullah, told FNA. “Saudi Arabia is leading and supporting the terrorist operations in Yemen and wants to omit the leaders of Yemen revolution and it has masterminded the recent assassinations in Aden and Ta’iz provinces,” he added. Saudi Arabia which has faced failure in Yemen after waging a one-year-long war against its Arab neighbor has now resorted to assassination of Yemen’s popular revolution to bring back its fugitive ally, Mansour Hadi, back to power, he continued.